One of two side exhibits, Rouge² features photos taken during the tuition hike protests in Quebec. Photography is like a story— the essence of a moment is captured in less than a second but the image itself and the intimate access to the soul of the situation will forever resonate within us. 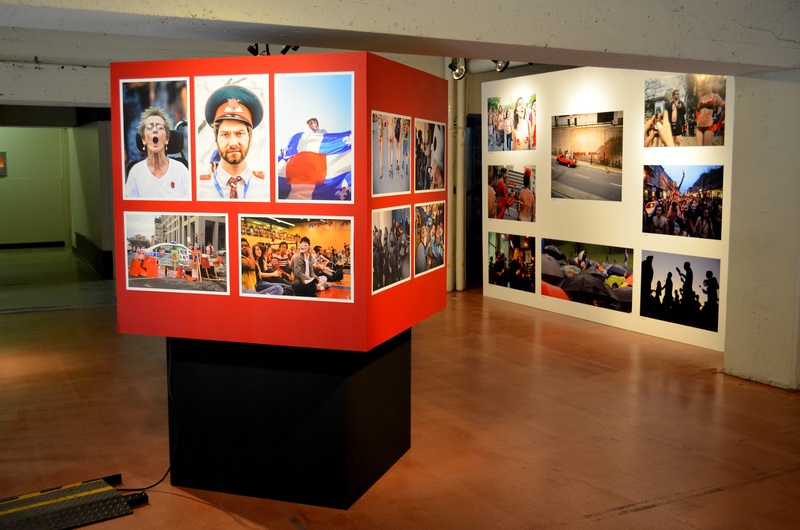 From Sept. 7 to 30, the general public is invited to engage with a selection of award-winning photographs from The World Press Photo’s annual contest, in an exhibition to be held at the Marché Bonsecours in Old Montreal. The finest work of contemporary photographers and photojournalists from 25 countries were evaluated by a jury of editors, photographers and members of photo agencies. Based on creativity, visual beauty and global representation, 161 photographs among thousands were chosen to depict the year 2011. There are nine award categories: arts and entertainment, people in the news, daily life, sports, nature, spot news, contemporary issues, portraits and general news. The award winning images captured pivotal moments, events and issues meant to inspire, inform, educate and entertain the audience. Samuel Aranda from Barcelona, Spain was awarded the honour of World Press Photo of the Year. His photograph, taken on October 15, 2011 during the revolutionary wave of protests across North Africa and the Middle East— also known as the Arab Spring, shows Fatima al-Qaws cradling her son Zayed, who is suffering from a tear gas injury received during a street demonstration in Sanaa, Yemen. “The photo reminds us of something important, that women played a crucial role in this revolution. It is easy to portray the aggressiveness of situation like this but this image shows tenderness that can exist within all the aggression,” said the jury of the photo. Through interpretation, the audience is able to participate with the artists in the act of storytelling. As Kashi said, “photography comes from the mind, heart and gut,” and that is what this exhibition is all about.